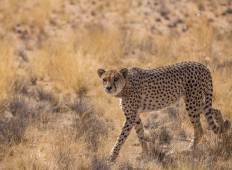 Find a Adventure trip that explores Etosha National Park. There are 160 tours to choose from, that range in length from 3 days up to 309 days. The most popular month for these tours is October, which has the most tour departures. "This was our first time on a safari tour and it exceeded our expectations. 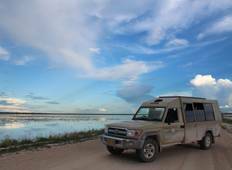 Starting..."
"Far more time taken viewing wildlife than on an overland tour.we travelled off road..."
"The tou was excellent, the service from the guide Reinier was excellent, he spent..."
"I'm happy to say I really enjoyed my tour ,the tour guard was very welcoming and..."